"Soft launch will start December 15th." Interesting. I've Translinked onto a SamTrans bus before. Quite some time ago, too. If you haven't been to a Caltrain station recently, there are flyers announcing that January 2011 will be the last month for paper monthly passes and 8-rides. They mention that VTA will accept Clipper in "early 2011" - I guess we'll see if VTA takes Clipper by Feb. 2011, otherwise there'll be some unhappy folks who can't use the two zone Caltrain transfer. re: Clipper inter-agency passes. So this is sort of good news (if not an alternative) for some riders used to using the Bart Plus flash pass, right? Anonymous: Can you clarify your question? 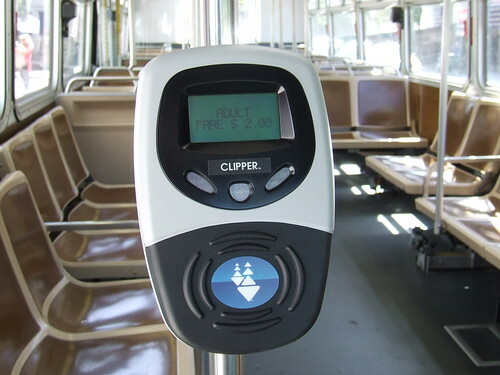 Clipper is not having their own inter-agency passes, they are just honoring the existing agreements between transit agencies when they are or were using paper passes. Oh okay, my bad. I thought it's Clipper that'll have inter-agency pass. If Muni will stop accepting Bart Plus flash pass (I'm dead) then it won't be good for me. But it's a different topic.